"Triple Threat" Took 1st place and Judges Choice at the Spring Santa Clarita Valley Photographers Association Open Competition. This photo will be on displayed for several months at the Santa Clarita City Hall. 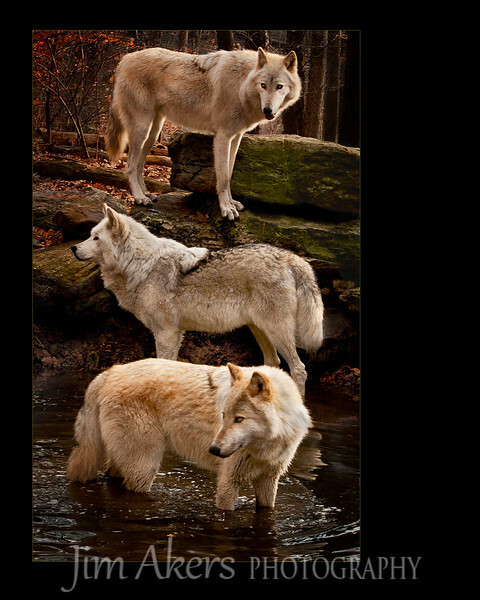 Wolves love water. Taken on the New Jersey side of the Delaware River in Warren County near the town of Columbia. The early foggy morning air was crisp and very cool.